Cars Under the Stars is a special event featuring luxury and antique autos and benefiting the research of cancers affecting men at Winship Cancer Institute of Emory University. Held outdoors under the evening stars and hosted by Friends of Winship, the event includes a stellar line-up of automobiles along with cocktail buffet, open bar, silent auction, and live music. 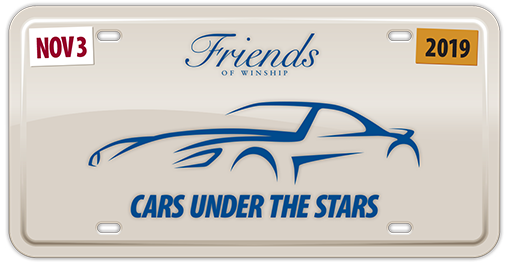 The 2019 Cars Under the Stars will take place on Sunday, November 3 at the Emory Clinic Valet Circle (1728 Lowergate Drive NE, Atlanta, Georgia 30322) behind Winship Cancer Institute on the Clifton campus. Last year's inaugural event raised over $100,000 towards research in cancers affecting men. The 200 attendees enjoyed a wonderful collection of automobiles including vintage Corvettes, Bentleys, a 1961 Jaguar, a Lamborghini, and a NASCAR car with the well-earned dents and scrapes it got winning a 2017 NASCAR Cup Series at Talladega. It was an event tailor-made for a car-loving Atlanta crowd, and this year promises more of the same.